The nearest mainline railway station is Marylebone, approximately ten minutes’ walk from the Ground. Marylebone Station is on the Chiltern Line. Paddington Station is approximately 20 minutes’ walk from the Ground, for services to West and South-West England and South Wales. Euston and King’s Cross stations are only a short journey away. Lord’s is well-served by buses. Several bus routes run alongside the Ground, and others are within a few minutes’ walk. There is no parking available on site for delegates but there are a number of car parks in the vicinity of the ground. 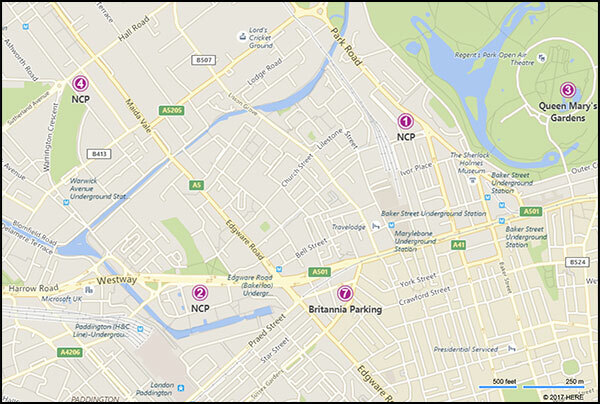 Delegates should enter the ground via the North Gate on Wellington Place. 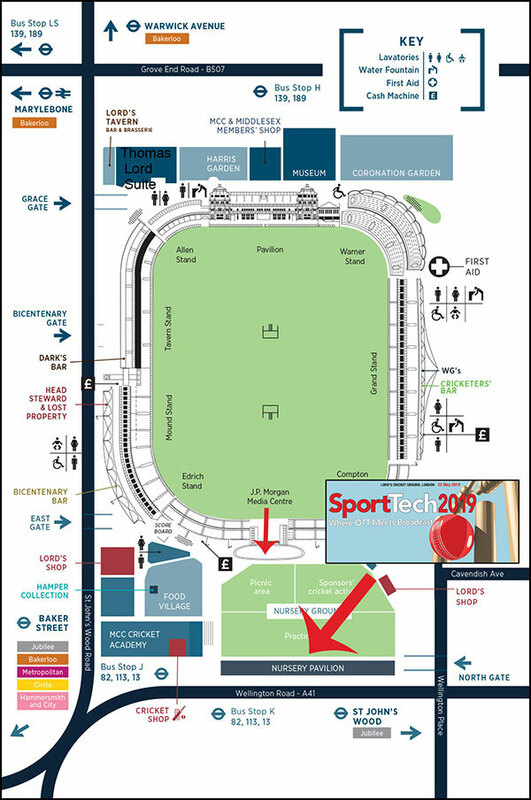 Sport Tech 2019 will take place in the Nursery Pavilion which is straight ahead as soon as you enter through the North Gate.